Home / Cebu Pacific / Cebu Pacific promo / trave packages / Travel / Fifty Shades of GREAT! 50% Off on all INTERNATIONAL Destinations and More Promo! Fifty Shades of GREAT! 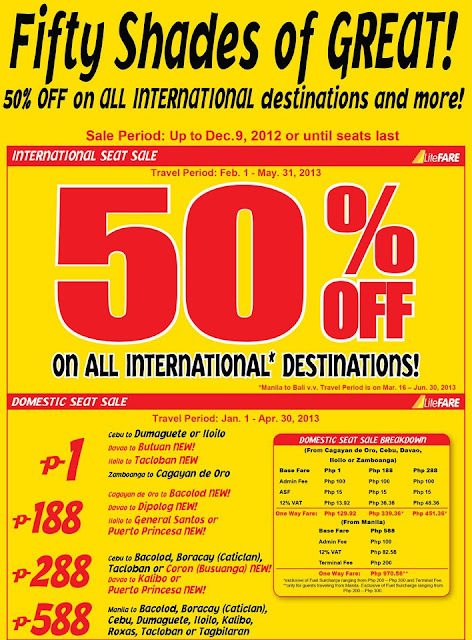 50% Off on all INTERNATIONAL Destinations and More Promo! Log on to www.cebupacificair.com now to book your tickets! Please don't forget to read our seat sale terms and conditions!